When it comes to growing cannabis indoors, there are two main varieties that are cultivated for their buds: Indica and Sativa strains. While Indica plants tend to stay small and manageable (which can be convenient for indoor growing), Sativa plants are typically a little tougher to care for indoors. Sativa strains originated from hotter regions near the equator with long growing seasons, and as a result they carry a few properties from their family history that can catch an indoor grower by surprise! 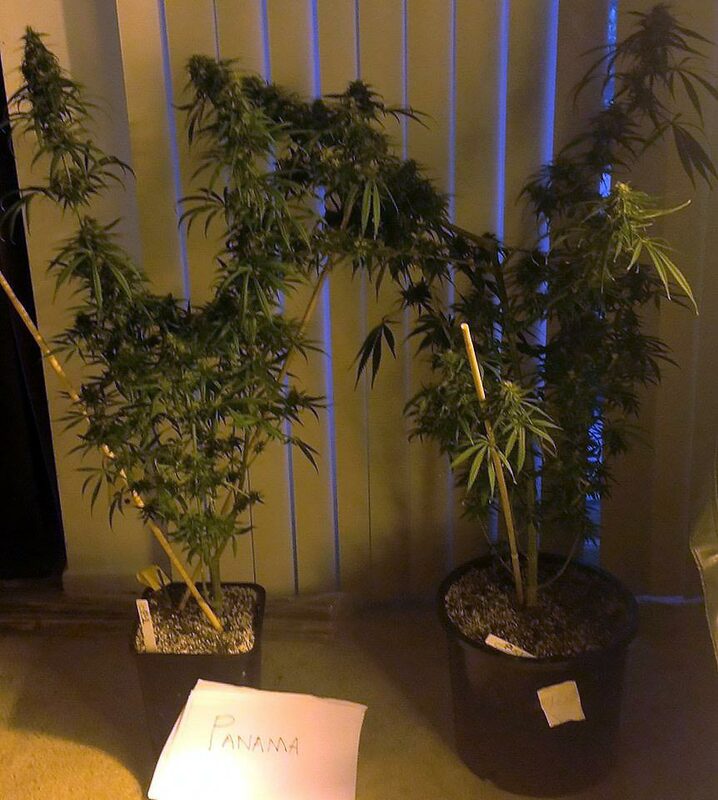 Example of two Sativa plants (Panama strain) grown indoors. 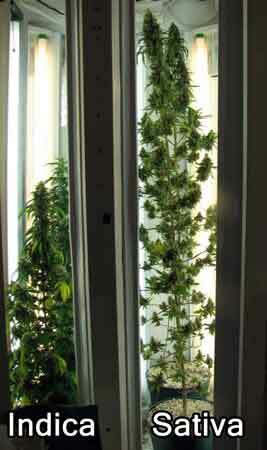 Sativa strains produce big and tall plants that can get out of control quickly in a small grow space! 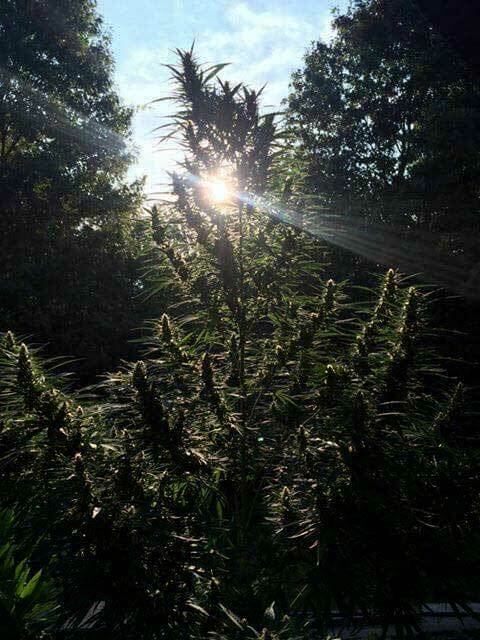 Sativa plants really thrive outdoors when they have unlimited space to grow! 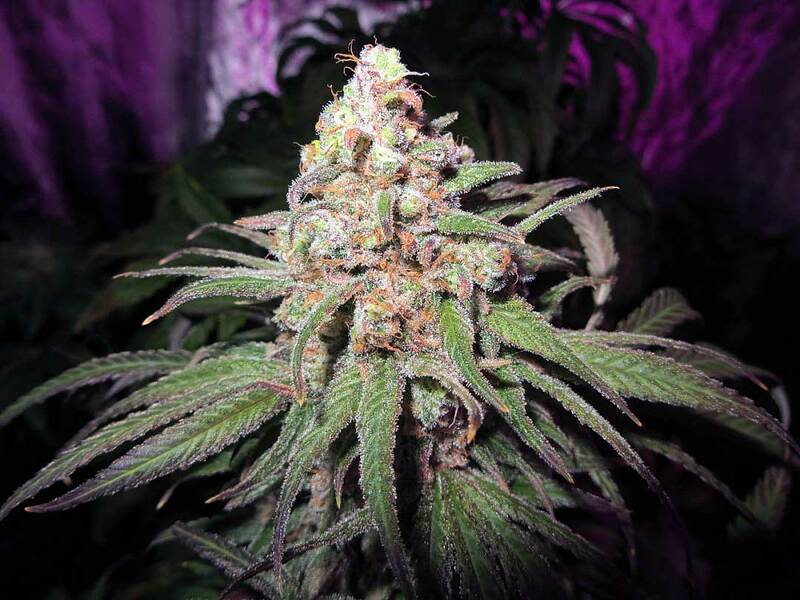 Note: It is rare to find a “pure” Sativa strain since that’s a loose definition, and nearly all marijuana strains available today are actually some sort of hybrid. 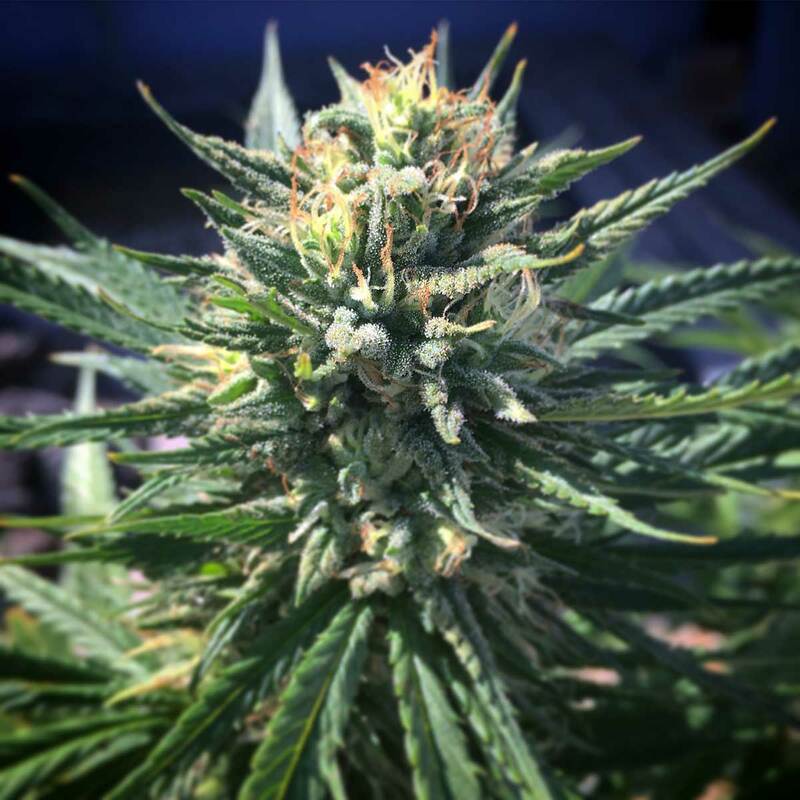 The following tutorial is all about strains with a lot of Sativa plants in their ancestry and which carry a lot of common Sativa characteristics! These two plants were grown indoors together under the same conditions from seed to harvest. 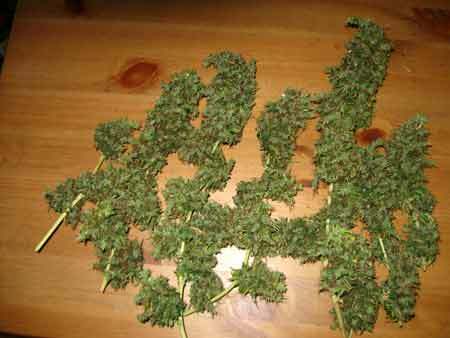 The short Indica plant produced half the yields of the 5-foot Sativa! A big part of this is the fact that the Sativa plant got big enough to take full advantage of all the lights, while the Indica stayed short. 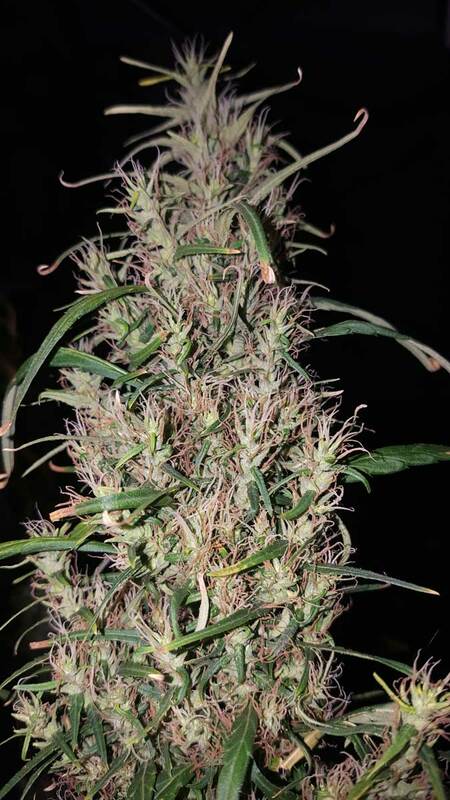 This is what the buds of a “true” landrace Sativa looks like – basically all foxtails! 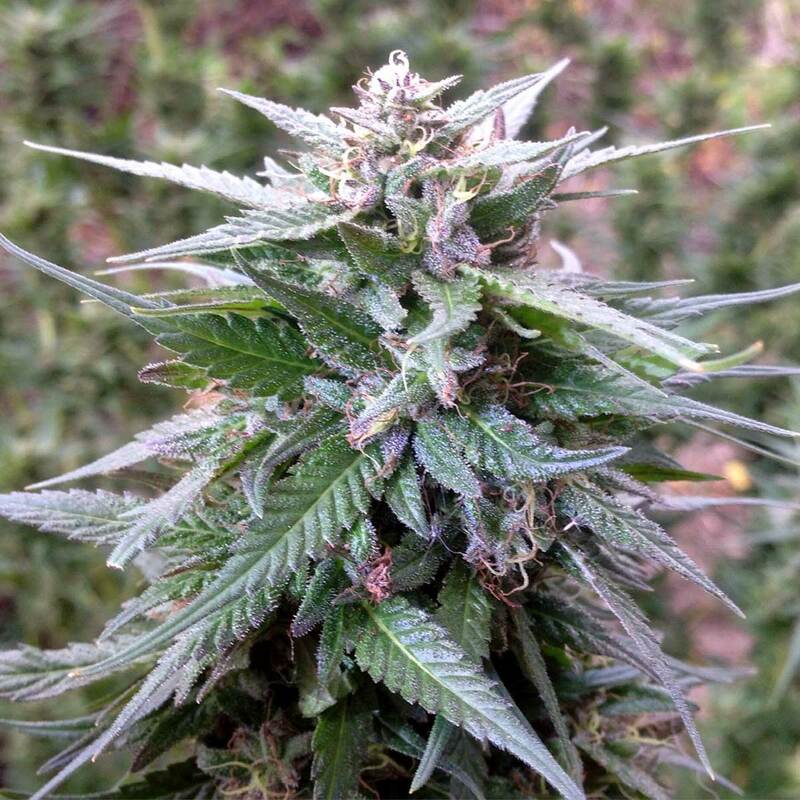 Most available “Sativa” strains are actually hybrids with at least a little Indica genes mixed in to help increase bud density and improve overall structure. 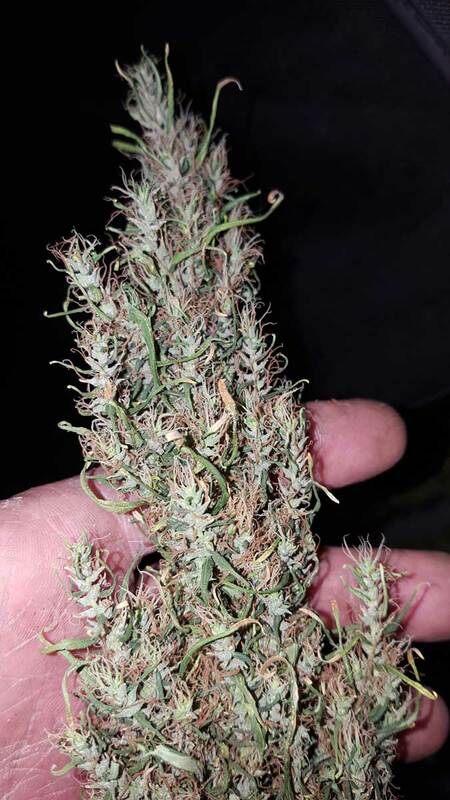 Example of untrimmed, dried buds of a Blue Dream plant, a very popular Sativa-leaning cannabis hybrid that’s become well known for being easy to grow, its dreamy effects and its desirable yields. 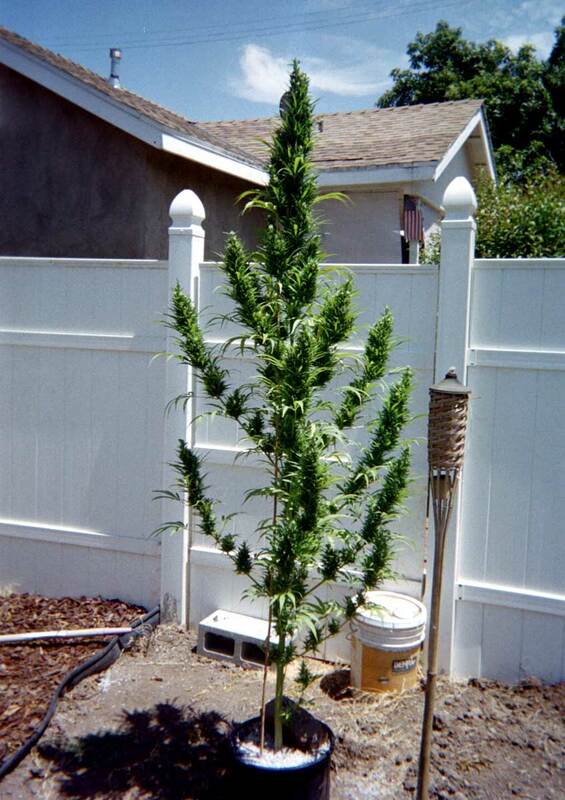 Generally stretchy appearance with lots of side branching and plenty of space between sets of leaves (as opposed to the short, squat Christmas tree shape of an Indica plant). Tend to grow tall and fast throughout their life, and may double or even triple in height after entering the flowering stage! 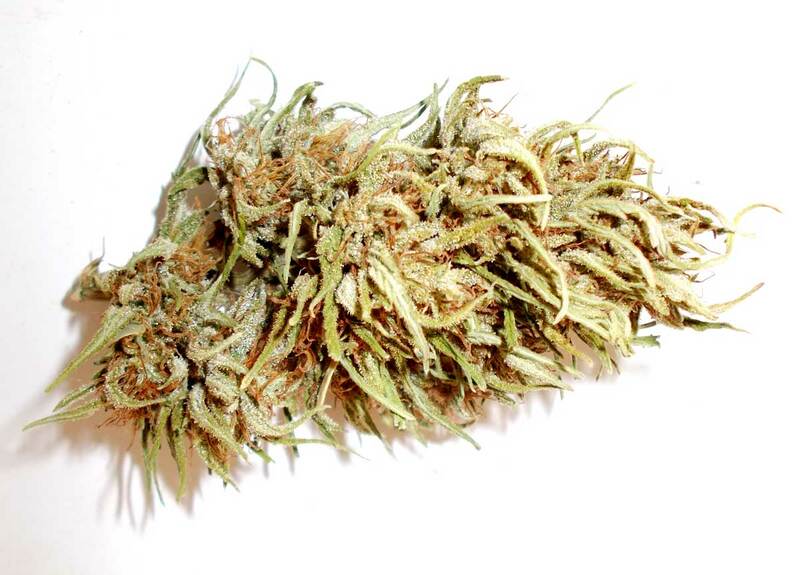 Buds often have “foxtails” and may be loose or airy compared to Indica buds, which tend to be solid and dense. However, a well-bred Sativa strain can still often out-produce an Indica in the same conditions because everything about the plant grows so big and so fast. 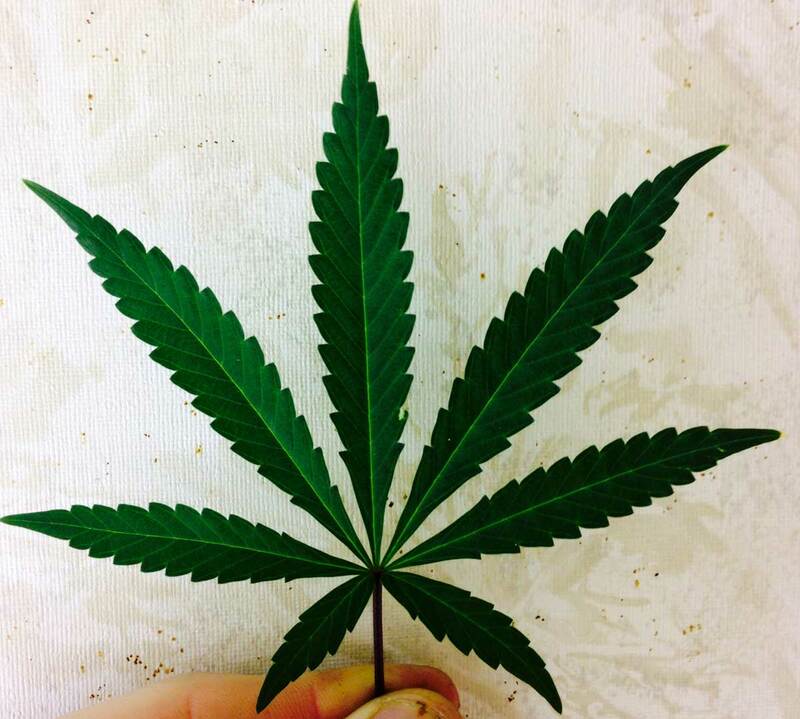 Long, thin “fingers” on Sativa leaves, compared to Indica leaves which tend to be round and fat. 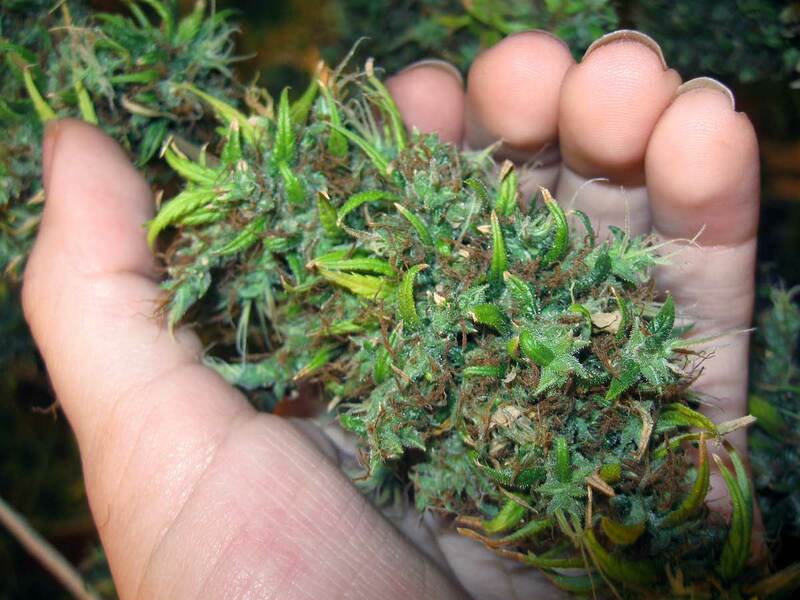 Sativa buds tend to give a more cerebral “in-your-head” effect than the more “body-based” Indica effects. Sativa buds may feel more energizing, so some people prefer Sativa strains for daytime use or in social settings. 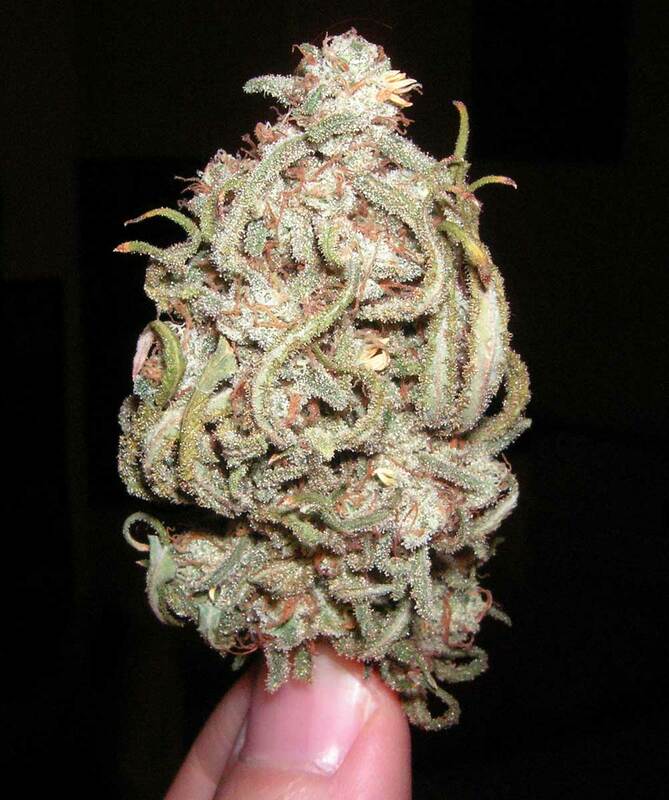 The buds from a “pure” Sativa strain – Although the buds are airy and a little strange looking, some of these old Sativa strains produce unique mental effects that you just don’t find anywhere else. 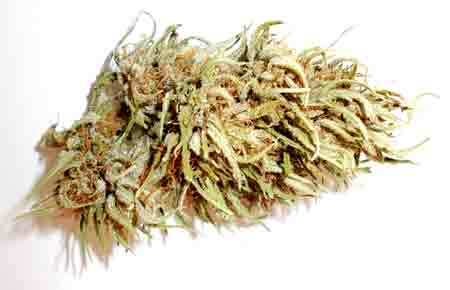 Dried leafy buds of a “pure” Sativa. Only a few decades ago in the USA, this type of cannabis was common! Now you’ll almost never see buds like this unless you grow them yourself. Can be nutrient-sensitive, especially in dry heat, low light levels or if a plant does not have many leaves. Not uncommon to see nutrient burn or Nitrogen toxicity at standard-strength nutrient levels. It’s a good idea to give lower levels of Nitrogen if you see an N toxicity, to help encourage as much bud growth as possible. You don’t want to give zero Nitrogen, but be on the lookout for dark green leaves! 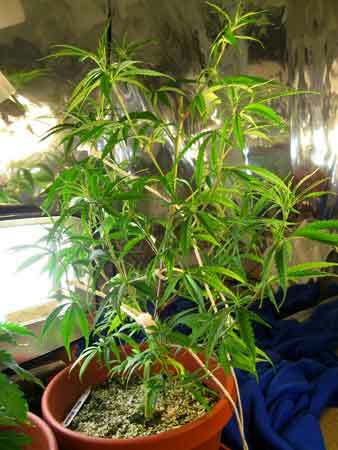 Example of buds on a Sativa plant that is suffering from a Nitrogen Toxicity (too much Nitrogen) in the flowering stage. Nitrogen “tells” the plant to focus on vegetative growth, and the plant keeps putting out more and more sugar leaves if given too much N in the flowering stage, which can get dark, bent, and eventually even yellow again as the toxicity goes on. 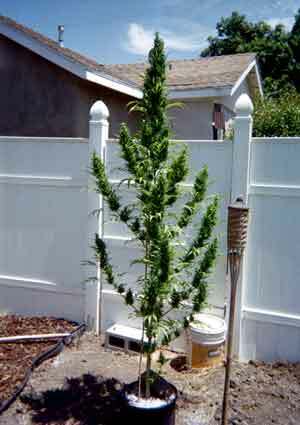 Sativa plants respond well to LST (low stress training), and are difficult to stress once they’re growing fast. If you’re naturally seeing a significant amount of stem between sets of leaves (as is common with many Sativa strains), defoliation can sometimes do more harm than good. With a stretchy plant, the buds and inside of the plant are often already as exposed as they need to be for optimum results. Defoliation is most effective at increasing yields of bushy plants where buds get hidden by leaves, which is much less common with Sativa than Indica strains! 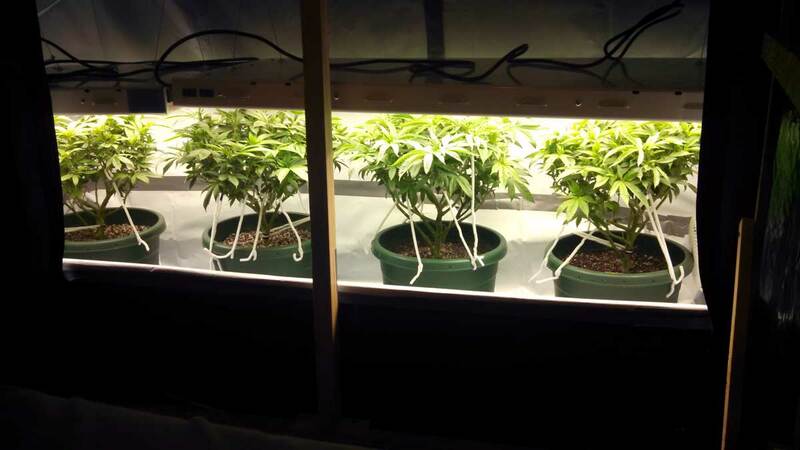 You might not want to choose Sativa-based strains if you’re using a small grow space like this! 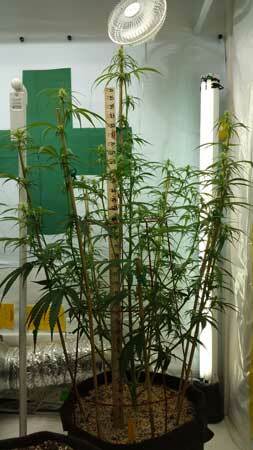 Example of a Sativa plant that’s 2 feet tall at only 5 weeks old, and already had to be topped to keep it short! This is very typical vegetative growth structure for a Sativa plant. Sativa strains may need 3+ months in the flowering stage to be ready to harvest on the standard 12/12 flowering light schedule. In order to “hurry them along,” they may need longer than average nights until harvest, for example, an 11/13, 10/14 or even 8/16 light schedule! 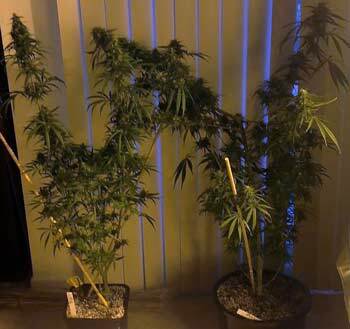 Example of the power of Sativa cannabis plants when they’re trained to grow flat and wide during the vegetative stage – look at all those huge Sativa colas that are all the same distance from the grow light! These plants still have several weeks of fattening left to go before harvest! Sativa buds may be airier than Indica-leaning buds on average, but they make up for it with good yields, fast growth and soaring, memorable bud effects! This Sativa-leaning Chem Dawg strain grows mind-altering buds that feel “up” but still relaxing! 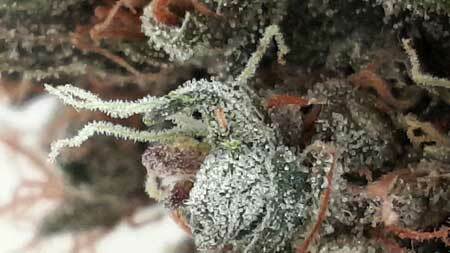 Some Sativa strains have trichomes that may never turn amber even after months of flowering. 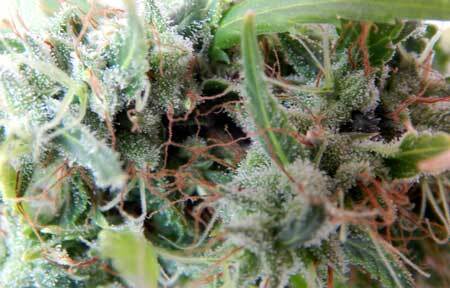 If your plant has fully white trichomes, it’s possible it may be time to harvest even if no ambers are appearing. Look below for two examples of trichomes from Sativa plants that are ready to harvest. Trichomes should be mostly milky white with just a few clears for maximum potency! These buds are ready to be harvested, but it’s still on the early side because there are quite a few clear trichomes left. These buds are smack in the middle of the harvest window. It has nearly all white trichomes and just a clear trichome here and there. You’ll notice even at this stage with nearly all white trichomes you don’t really see many if any amber trichomes (which you would generally see in an Indica plant by the time it hits this stage). 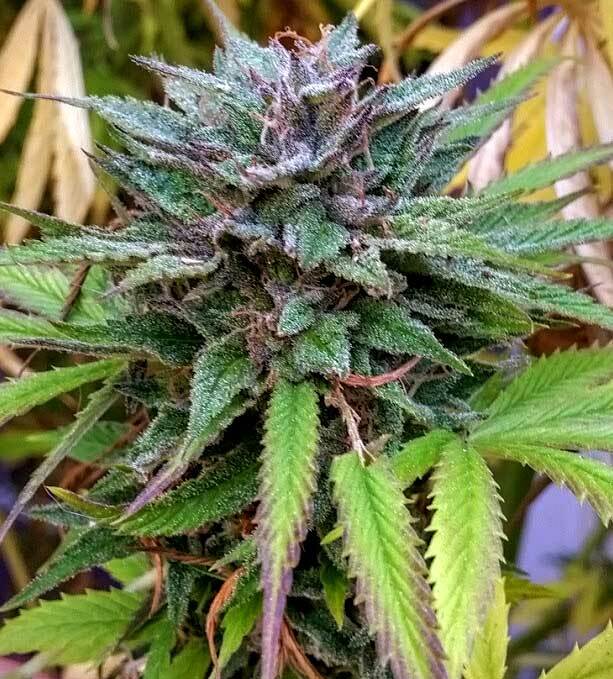 This is the main bud on a Sativa plant just before harvest. 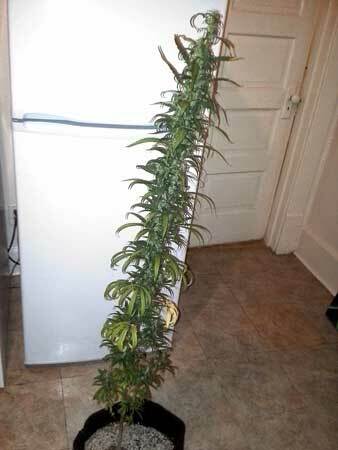 Sativa bud structure is often long and thin, almost like spears. Hopefully, you are now more prepared to grow your own Sativa marijuana plants indoors! The challenge of the strain will reward you!